Dreamlike winter scenery. 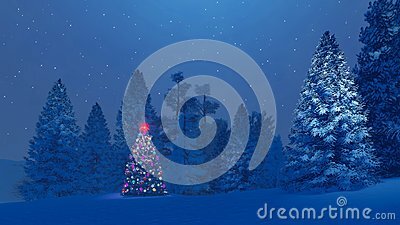 Decorated christmas tree with red star on its top among snow-covered fir trees under starry night sky. Decorative 3D illustration.